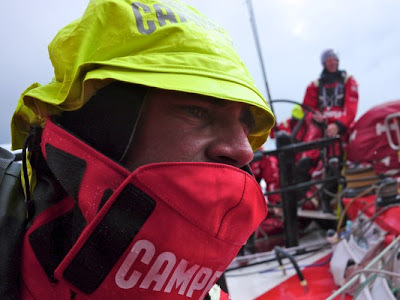 There is no fooling Stu Bannatyne, five-time race veteran and co-skipper of second placed CAMPER with Emirates Team New Zealand (Chris Nicholson/AUS), when he described the opening night of Leg 5 from Auckland to Itajaí in Brazil. 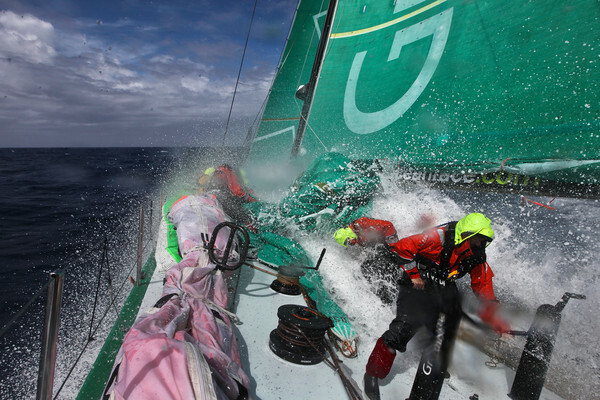 “Without a shadow of a doubt that was the hardest opening night of a Volvo leg I have ever done,” he said. 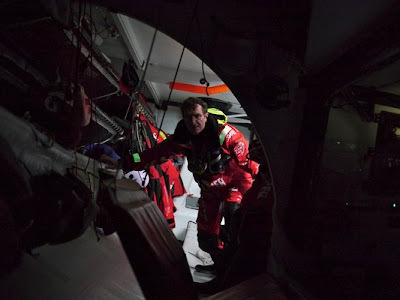 “After his two hours off watch sleep, he didn’t look much better, but was raring to get back on deck,” Hooper wrote in his latest report from the boat. The fleet, led by Telefónica (Iker Martínez/ESP) is now 342 nautical miles (nm) north of the Chatham Islands. 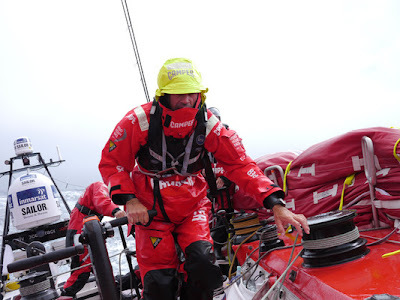 Storm force winds have battered the fleet to such an extent that Ian Walker’s Abu Dhabi Ocean Racing were forced to shelter in the lee of the Hauraki Gulf before resuming racing this morning at 0725 UTC. 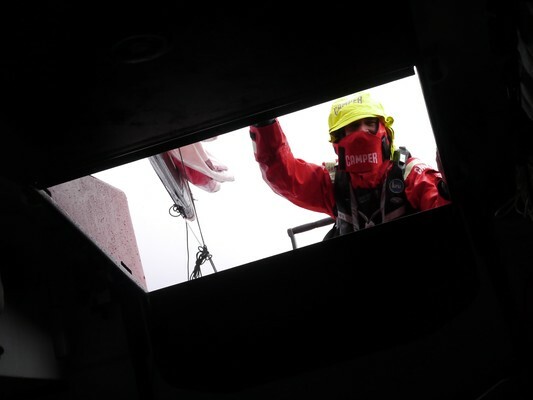 The Emirati team left the Auckland dock at 2300 UTC yesterday after successfully repairing their forward bulkhead, looking for a break in the weather to catch the fleet now over 600 nm down the track. “Sadly, we have the exact opposite. We have the meteorological equivalent of a kick in the guts,” reported the skipper this morning as local weather stations reported 50 knot average winds and gusts in the low sixties. 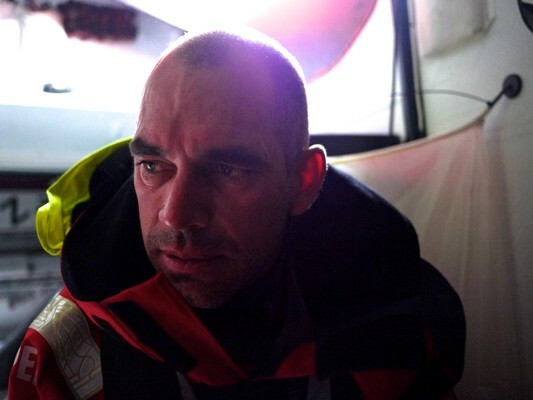 “To set off when we are already a day behind the fleet and put ourselves out of the race would be foolish, yet to heave to and wait is the most frustrating thing on earth,” Walker said of a decision made to shelter from the worst of the weather. Sea-sickness has again reared its ugly head as the already exhausted crews push on towards the Southern Ocean. At 1000 UTC, Telefónica led CAMPER by 12.8 nm. Groupama, PUMA Ocean Racing powered by BERG (Ken Read/USA) and Team Sanya (Mike Sanderson/NZL) were all within 12 nm with SANYA 39.5 nm off the lead. To ensure the boats are kept clear of the risk of ice on Leg 5 race control are using satellite imaging to monitor fleet’s likely path and, when necessary, adjust the position of the waypoints which define the ice exclusion zone. Overnight satellite images revealed possible ‘targets’ outside the exclusion zone and accordingly the exclusion zone was shifted a couple of degrees north. This changed the distance to finish calculation for the fleet but did not affect the standings.